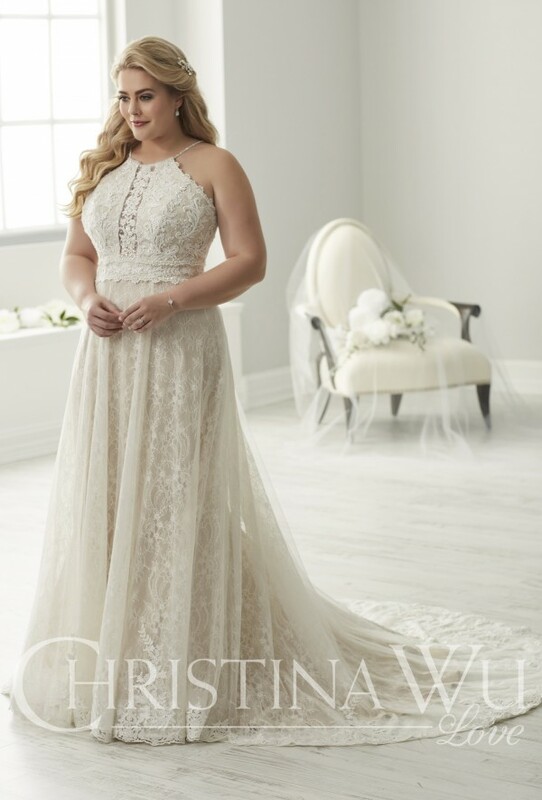 The Christina Wu Love collection is a plus size collection designed to specifically for brides with curves. The collection features all shapes of wedding dress from, form fitting to full romantic skirts. Each dress comes with a corset back and detachable straps to make sure the dress fits perfectly. 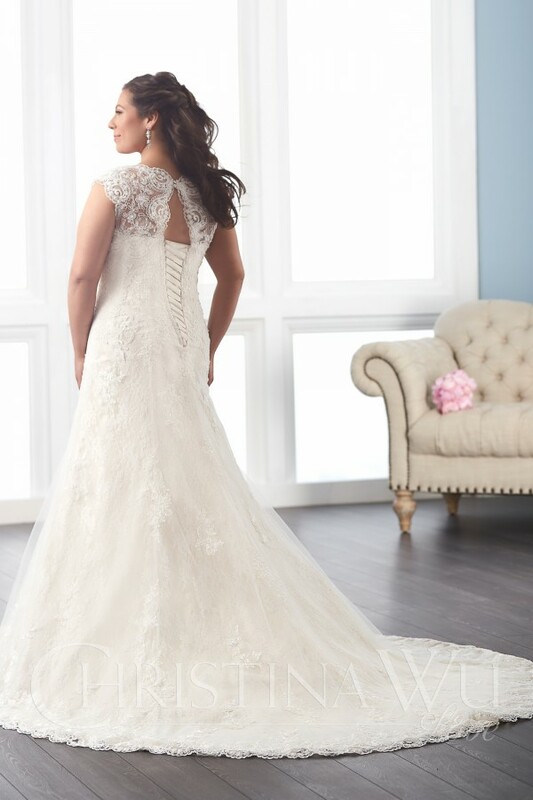 We say...the lace cap sleeve straps are completely detachable! We say...adorned with sequined appliqués. We say...the ruffled skirt is so romantic!